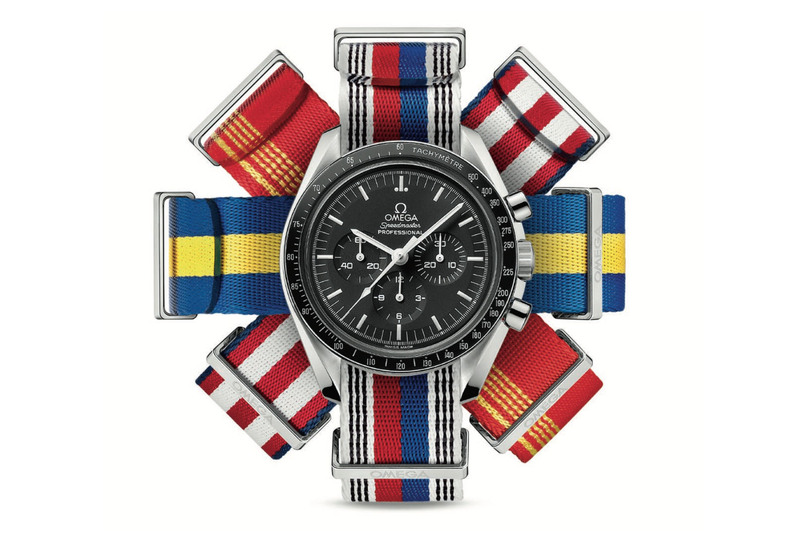 Omega deploys an arsenal of sophisticated timekeeping instruments to decide the fate of athletes at the PyeongChang Winter Olympic Games. 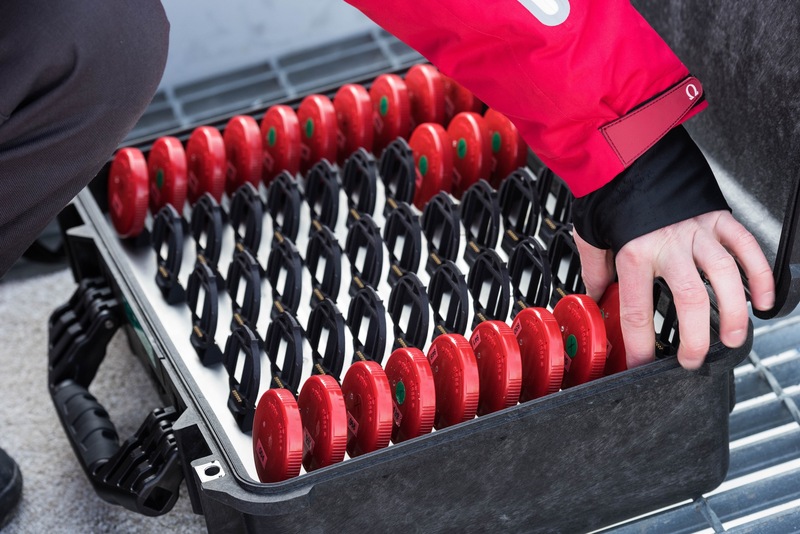 Carting 230 tonnes of timekeeping equipment from Switzerland to Korea, Omega’s cutting-edge technology will be the ultimate judge of the Olympic victors, where split-second differences can make the difference between a gold and a silver medal. 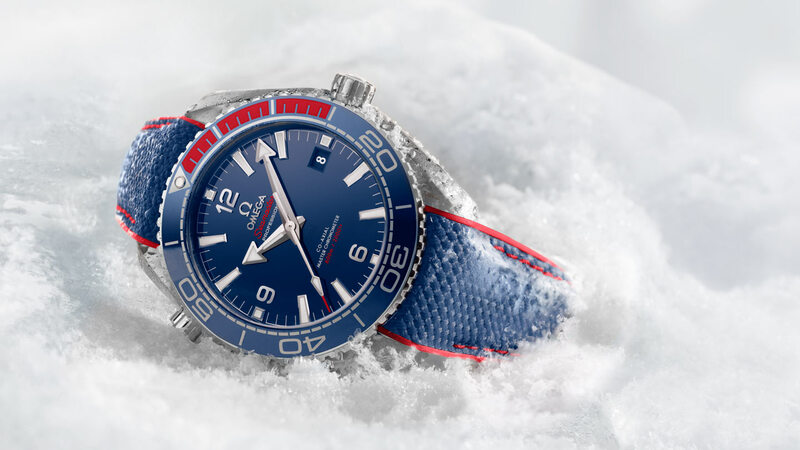 Naturally, with a captive crowd of sports fans and Omega branding as omnipresent as the athletes, the Swiss brand has launched a dedicated Seamaster Planet Ocean 600m Pyeongchang Limited Edition decked out in the colours of the South Korean flag, a line of colourful Seamaster watches inspired by the five rings of the Olympic flag, and a more upmarket trilogy of Seamaster models in gold to celebrate the confirmation of Omega’s official role as timekeeper of the Games until 2032. 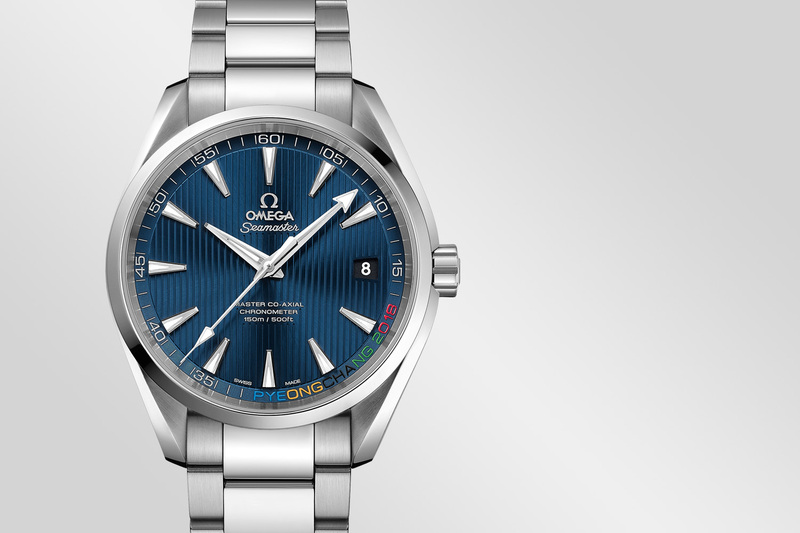 Let’s take a look at some of the instruments that Omega has developed since its debut as the Olympic Games timekeeper in 1932 and the novelties it has pulled out of its bag for its 28th round at the 2018 Olympic rodeo. 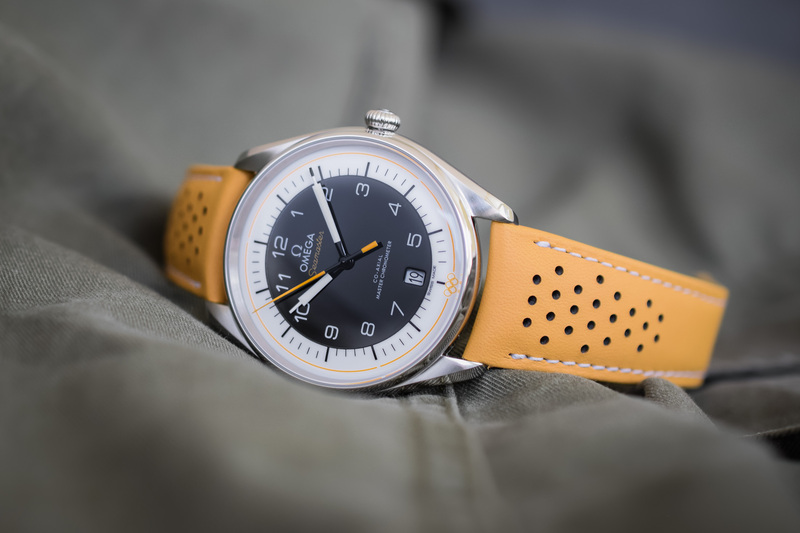 Things have changed a great deal since Omega’s debut at the Los Angeles Olympics in 1932 when 30 split second stopwatches and one watchmaker were dispatched from Switzerland to time the event. 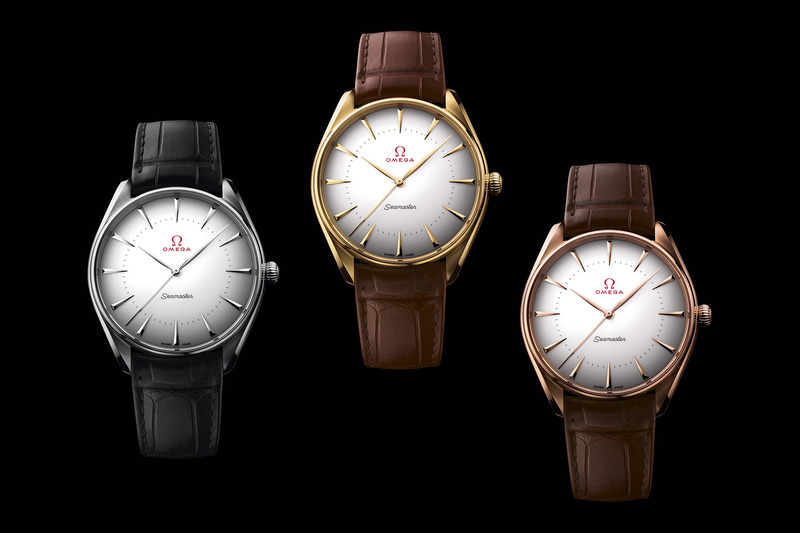 Where timings to the nearest 1/10th of a second were considered the pinnacle of technology in 1932, today Omega’s Quantum Timer is accurate to one-millionth of a second. 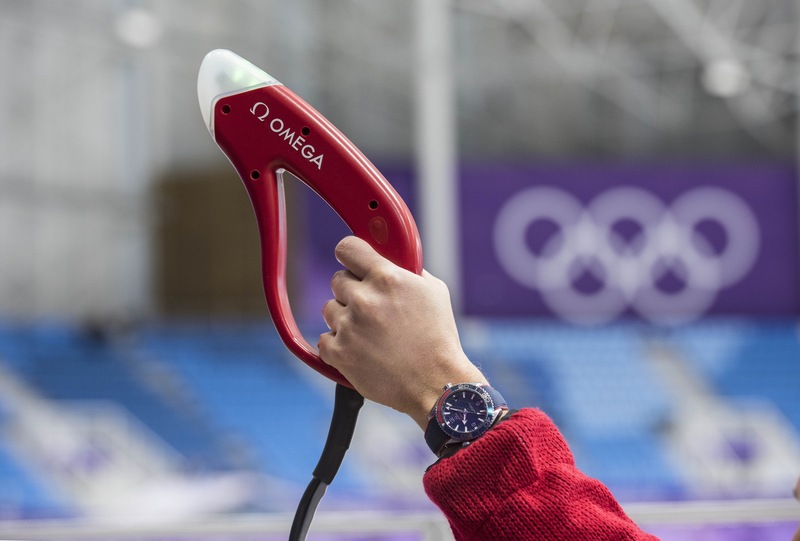 Most of you will be familiar with Omega’s big breakthroughs in timekeeping over the years, including the electronic flashgun or starting pistol first used in Winter Games of Vancouver of 2010. Replacing the traditional powder pistol – and designed to look less bellicose – the flashgun emits a flash of light, makes a loud bang and starts the clock. Loudspeakers amplify the sound to ensure all racers enjoy an equal start. Another huge improvement in track events was achieved with Omega’s starting blocks equipped with electronic sensors to avoid false starts or the touch pads for swimmers to stop the clock that made their appearance in the Mexico City Olympics of 1968. But perhaps the most famous bit of equipment is Omega’s photo-finish camera of 1948. Nicknamed the Magic Eye, the Scan ‘O’ Vision MYRIA as it is known today, is a combination of time detector and chronograph capable of shooting up to 10,000 digital images per second, and its infallible images have become the ultimate arbiter of every race. 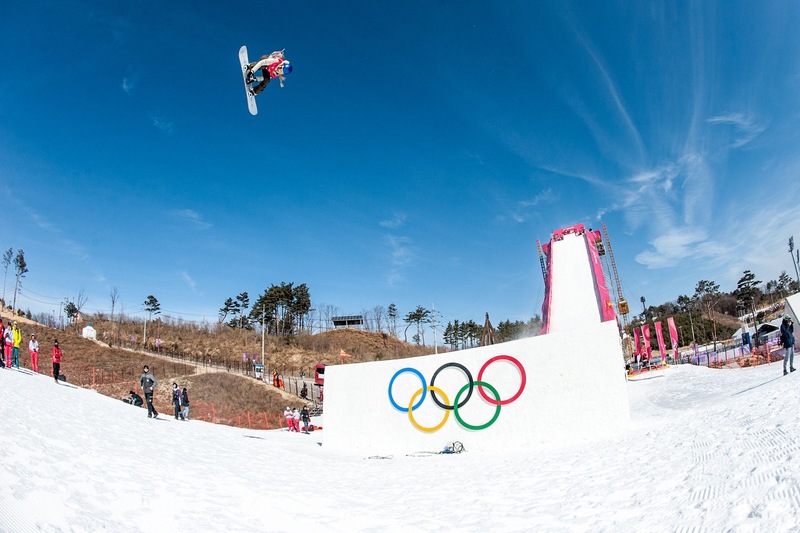 Big Air is the new kid in town at the Olympics. A freestyle snowboarding event, Big Air joins the Olympic roster and draws the crowds as snowboarders speed down a ramp and are projected into the sky. Once airborne, the athletes perform all kinds of tricks including rotations and corks. 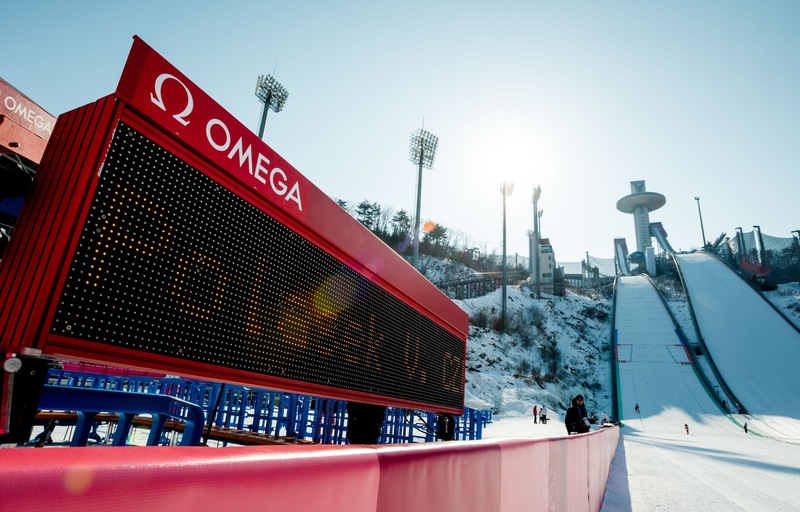 With a little help from Omega, a panel of six judges located at the bottom of the jump will gauge the quality of the airborne tricks and the accuracy and style of the landings. By attaching motion sensors to the boots of these daredevils, Omega can capture Big Air stats mid-flight. 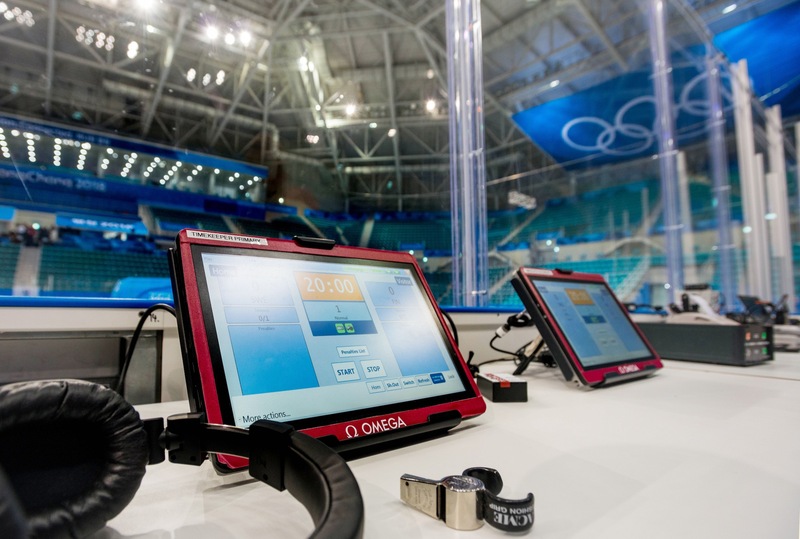 Each judge’s keypad is connected to the timing and scoring room allowing the instant transmission of results to athletes and spectators. Recognised as the fastest human-powered sport, speed skating involves racers whizzing at speeds of close to 50km an hour around a 400-metre oval ice rink. To keep pace with the high-speed action, no fewer than 10 electronic devices are situated around the rink. 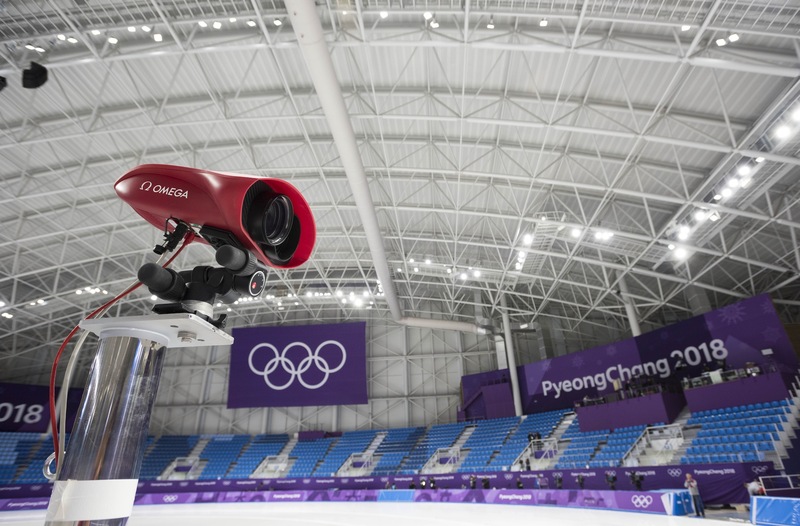 In addition to the starting e-gun, the MYRIA photo-finish camera, the laser photocells that record the time which is instantly projected on the electronic scoreboards, skaters wear a transponder on their ankles allowing them to analyse their performance in real time. The transponders capture different statistical information, like speed and comparisons, giving the public a vital understanding of what is going on and provide athletes with an invaluable tool for future training. 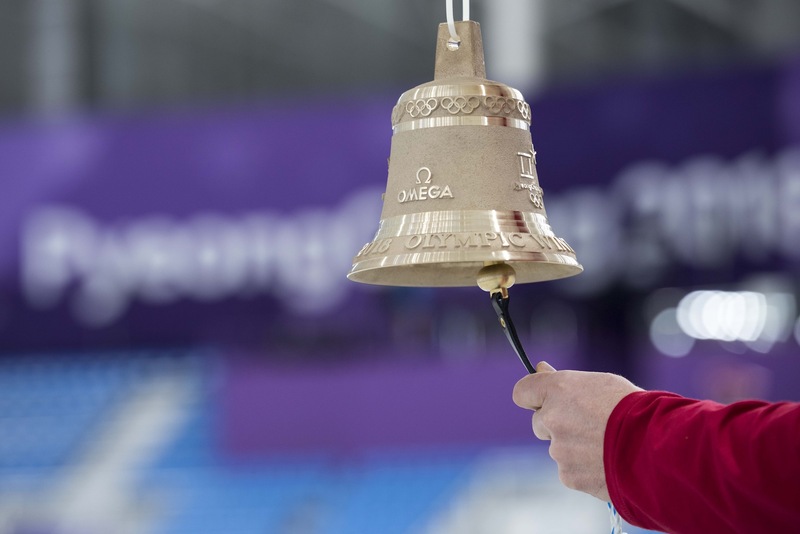 Isn’t it to know that even if there were some major technological malfunction, Omega can always rely on its good old bronze bell to signal the final lap in a speed skating competition.